published by Holiday House, Inc.
Is it ever easy being new? Anaïs was the best English student in her class in Africa. Now in Crazy America she feels she doesn’t know English at all. Nothing makes sense…chicken FINGERS? In letters, she writes to her grandmother back home about Halloween, snow, mac ‘n’ cheese and princess sleepovers. She misses her father and brother and hopes the fighting is over soon. 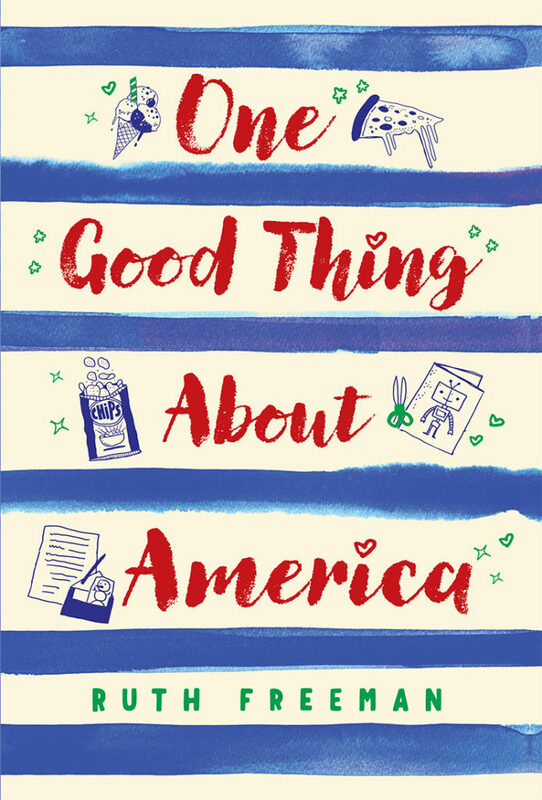 In the meantime, she writes about the weird things Crazy Americans do, and wonders if she will ever feel at home in this strange new country. Ages 8 to 12, 160 pages. Have you ever wondered about what we wear under there, and why it is so funny? A revealing look at underwear down through the years and today! Includes a timeline. 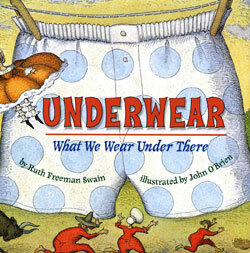 Underwear was voted a Children’s Choice Finalist for 3rd – 4th Grade Book of the Year! 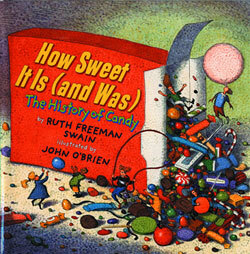 From honey candies of the ancient Egyptians to the invention of bubble gum, a mouth-watering trip through the sticky story of candy. Facts about sugar, a candy timeline, and recipes. The way we cut, curl, and style our hair shows a lot about who we are (or would like to be). 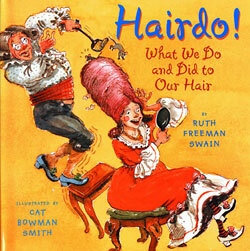 A fascinating history of hairstyles around the world including facts about hair. 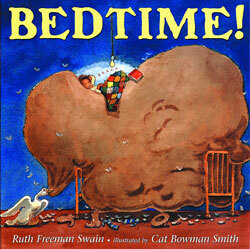 Everyone goes to bed, but they certainly have different ways of sleeping! From early hammocks to sleeping bags on the space shuttle, a well-researched look at the history of beds. Facts about sleep.